Leica Geosystems Mining is a division of Leica Geosystems Pty Ltd, one of the original innovators in machine GPS navigation. The Leica Geosystems Mining is a tier one provider of fleet management, production optimization and high precision guidance solutions. Their product family for mining has established Leica Geosystems as the provider of choice for this technology in over 100 mines around the globe. The Leica Geosystems Jigsaw system optimises production in mines leading to a measureable production gain of 3 to 15%. The Jigsaw solution is fully scalable and totally OEM independent – working on machines from any manufacture, be they mixed or set fleets. Leica Jigsaw is fully integrated with the Leica Jmineops reporting and dispatch software. The Jmineops replicated database technology (patented to Leica Geosystems) ensures that no individual machine or full system data is ever lost, ensuring accurate reporting and exceptional time management, safety and forward planning. As an integral part of Leica Geosystems Pty Ltd, Leica Geosystems Mining offers a complete portfolio of class-leading measurement technologies capable of positioning, monitoring and measuring every phase of the mine life cycle. From pit to port, from exploration to remediation, their TPS, GNSS, HD scanning, and slope monitoring is used every day on literally hundreds of mines. Leica Geosystems is best known for its broad array of products that capture accurately, model quickly, analyze easily, and visualize and present spatial information. They have long been established as the global innovator for survey and measurment solutions. With close to 200 years of pioneering solutions to measure the world, Leica Geosystems Pty Ltd products and services are trusted by professionals worldwide to help them capture, analyze, and present spatial information. Leica Geosystems has been providing leading edge measurement solutions since 1819. They developed the world's first portable opto-mechanical theodolite, aerial photography camera and GPS for surveying. 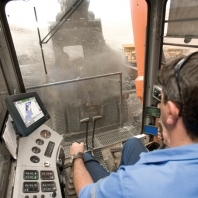 As one of the original innovators in machine GPS navigation, Leica Geosystems acquired Tritronics-a leader in production monitoring for surface mining-in 2003. The Leica Geosystems Mining global technical center opened then it’s doors in Brisbane, Australia in 2004. Sparking the interest of Hexagon AB, a $2 billion metrology company (owner of Novatel) Leica Geosystems was acquired in 2005, retaining the Leica Geosystems products and brand. Since that time, Leica Geosystems has acquired Jigsaw Technologies, the leading innovator in fleet optimization, data acquisition and blending solutions and fully integrated all product offerings - releasing the next generation Jigsaw product basket in 2011. The Leica Geosystems Mining division is a family established, tier one provider of fleet management, production optimization and high precision guidance systems to mines all over the world. 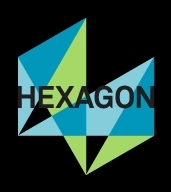 Leica Geosystems is part of the Hexagon Group, Sweden.